The old national Pakistani song in new bag will make you addict of listening to it again and again. Coke studio has set standards of music which were not heard in contemporary era. Revival of old music, new compositions and even new songs. A lot of foreign and local instruments were also being used in recent versions of coke studio. They tried to revive the heritage and spirit of pure Pakistani music which was near to be forgotten. This year it's been launched in month of independence and the first curtain raiser will not only give you a glimpse into this season but will also make you sing along one of the most beautiful and hauntingly peaceful. It will melt your hearts and make you put it on repeat. The clips starts from Fareeda Khanum and Ali Azmat, it will move you from the oldest to recent voices introduced. Underground singers to lately discovered musicians, you will a bit of all and cherish this wonderful composition. Along Anward Maqsood's narration. All the times you have heared " Sohni Dharti", it had made you tap your feet and swing you along. This version of Sohni Dharti will revive the spirit of independence and arouse feelings of patriotism. The compilation doesn’t only give you goose bumps because of its peaceful arrangement and the variety of featured voices. This two-minute clip also makes us realize all that we have lost and all that we can save of whatever remains of our heritage. Raw vocals of Mai Dhai , sounds evolved by the greats of Alam Lohar, Fairda Khanum and Hamid Ali Khan. Hats off to strings who made this compilation and gave us another chance to hail before them for such an outstanding work to keep music industry alive. Ali Haider, Qurrat ul ain Baloch, Siege, Fizza javaid, Alycia Dias, Meekal Hasan band, Kaavish, Sara Raza, Rizwan & Muazzam, Atif Aslam, Karam Abbas and Sara Haider, Bakshi Brothers, after very long time Shazia Manzoor, Umair Jaswal Ali Sethi , Nabeel Shaukat. very adorable and melodious Gul Panrra, Asim Azhar, Malang party and legend Suraiyya Khanum along others were featured in one song. This had numerous likes and shares on Facebook. With in few hours it broke the Internet and got fame worldwide. 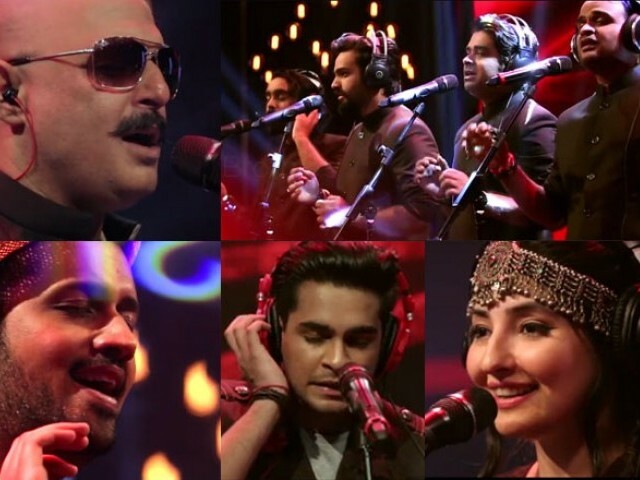 Officialy Coke Studio Season 8 is launching on 16 August.